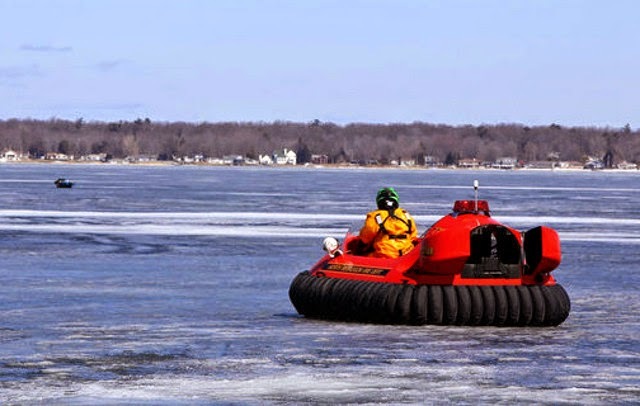 First responders worldwide recognize that a hovercraft is the only rescue vehicle able to perform fast, safe rescue operations on swift water, thin or broken ice, flood waters, mud and snow. 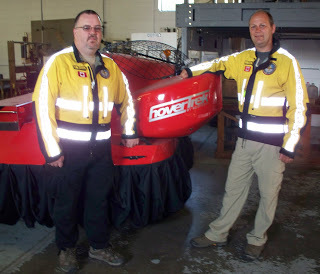 Because it safely hovers 9 inches above the terrain, a hovercraft keeps your rescue team above the danger – not in it – and gives you access to areas a boat or helicopter cannot reach. 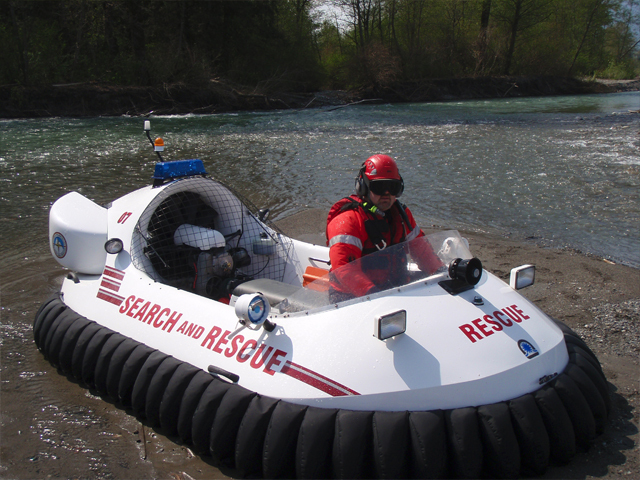 But the Neoteric Hovertrek™ is not just another rescue hovercraft. Its unique capabilities have made it the industry standard worldwide. 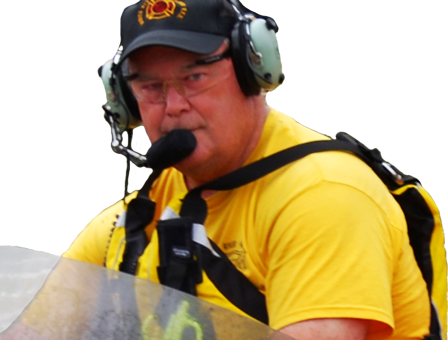 Our clientele spans 50+ nations and includes the U.S. Border Patrol, Department of Homeland Security; Police, Sheriff and Fire Departments; Airport Police/Fire/EMS Services; National Parks Services, and more. Perry Clear Creek Fire Dept. 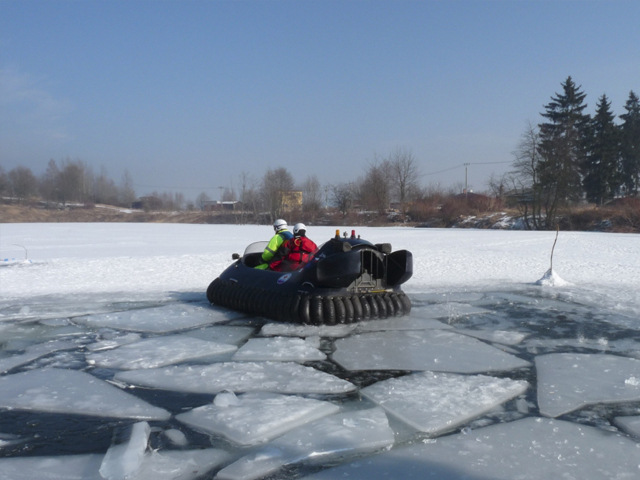 “This Neoteric hovercraft is one of the most modern rescue vehicles on the Polish market. It rises to 30 cm from the surface and is able to move on both land and water. 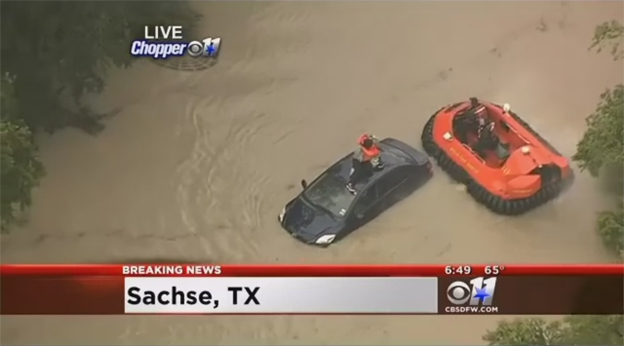 This machine can save people under the most difficult weather conditions that prevent the use of a helicopter. Regardless of the weather, it can fly over water, ice, mud, sand, grass or wetlands - allowing us to get to those places you can't reach either by boat or by foot. 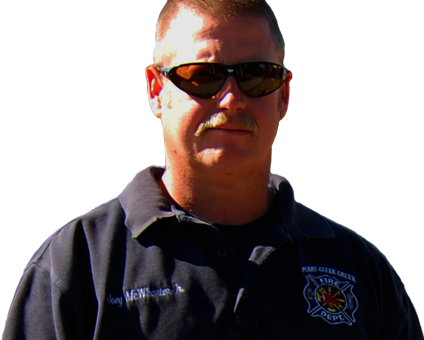 Until now, our rescuers did not have equipment that would enable them to act in such circumstances." 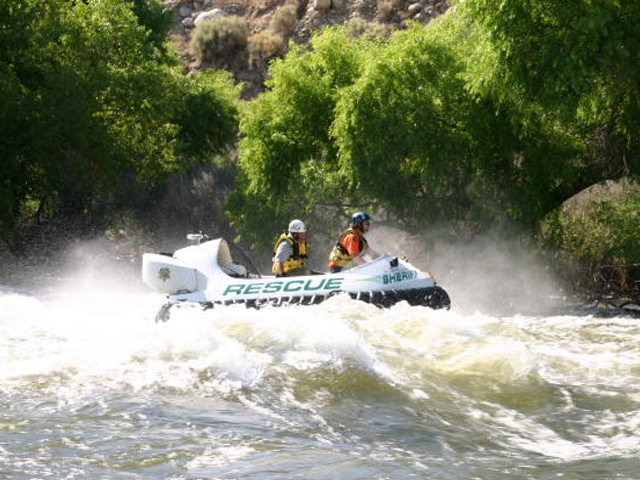 In rescue operations, sometimes backing up is the only way out. Neoteric's patented reverse thrust system gives the Hovertrek-Rescue the unique ability to brake, hover in place, and back up at more than 25 mph. 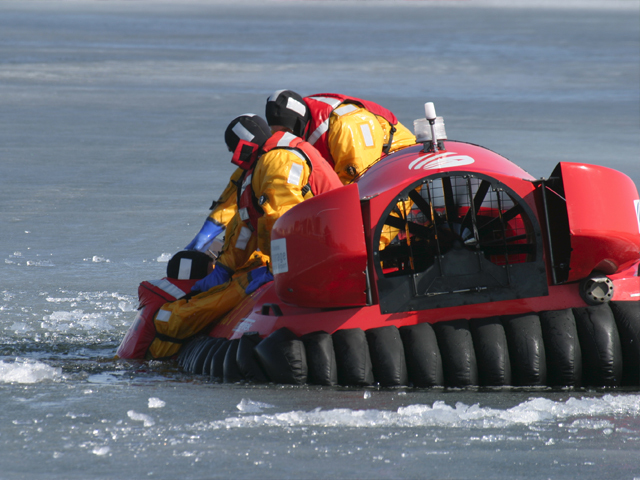 Neoteric is the only hovercraft manufacturer to offer this crucial feature. 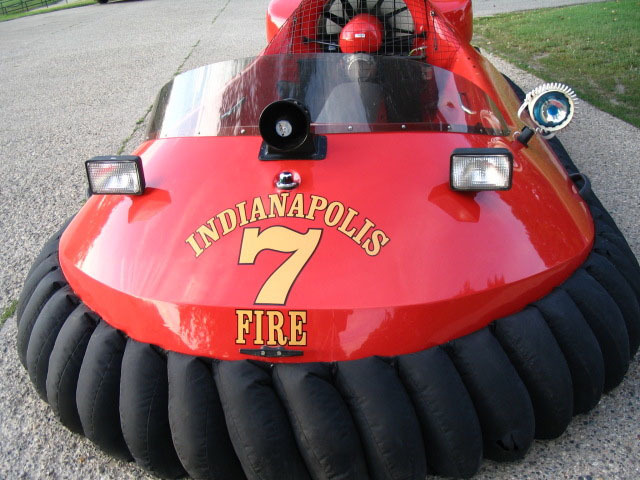 Besides being the lightest hovercraft in the industry, Neoteric also have the most aesthetic and aerodynamic profile. 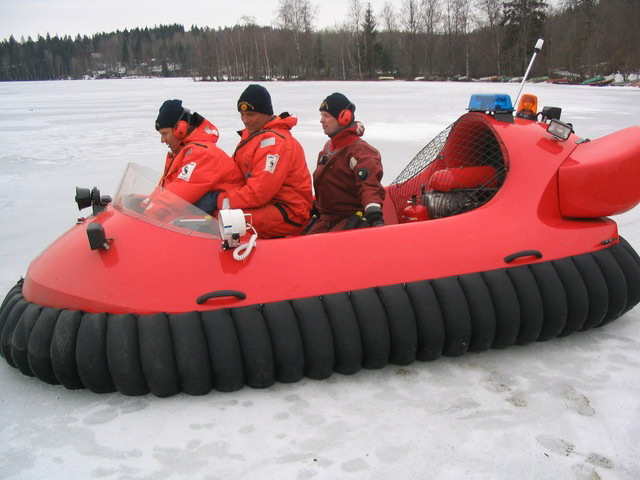 No other hovercraft manufacturer offers a comparable model for a lower price, and we support our hovercraft with a Lifetime Guarantee. 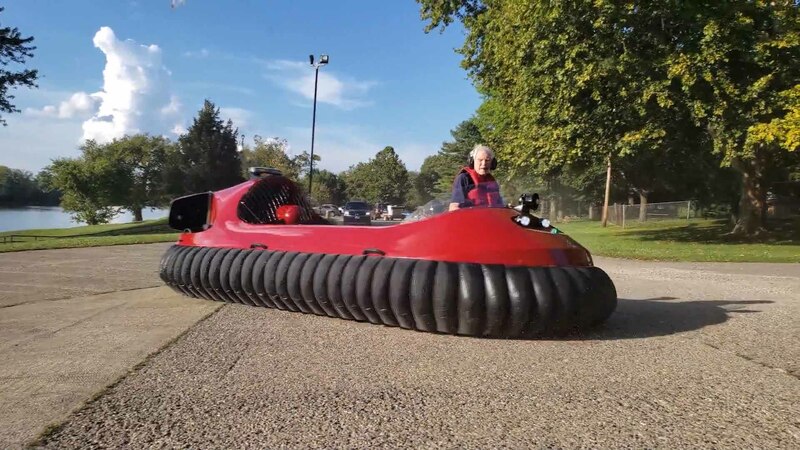 Besides being the lightest hovercraft in the industry, the Neoteric Hovertrek also has the most aesthetic and aerodynamic profile. 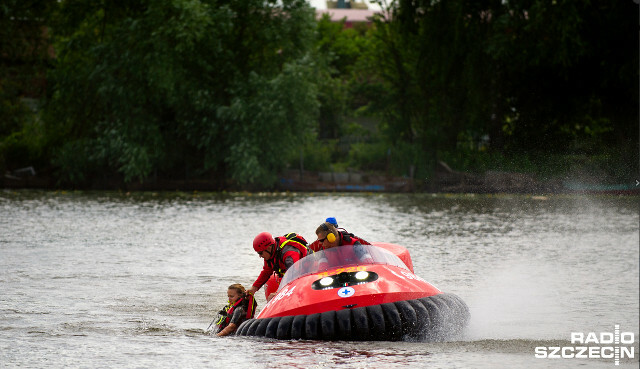 No other hovercraft manufacturer offers a comparable model for a lower price, and we support our hovercraft with a Lifetime Guarantee.